Make a toast, have a blast! Just don't forget to mark your glass. 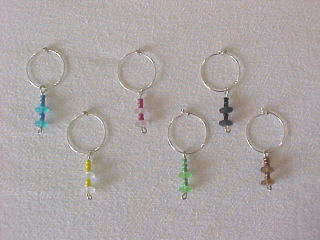 Made of sterling silver and glass beads. Other materials vary by design. 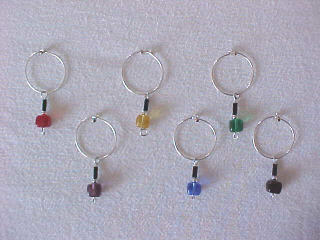 $15.00 per set of six. OUTDOOR ELEGANCE: Rose, Iris, Sun, Ocean, Leaf, Midnight. 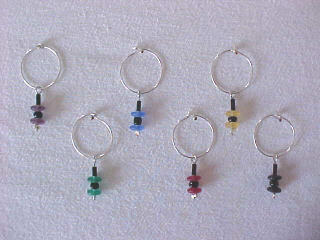 HUES: Purple, Green, Blue, Yellow, Red, Black. 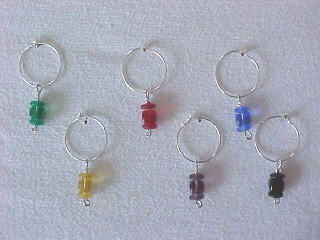 JEWELS: Emerald, Topaz, Ruby, Amethyst, Sapphire, Jet.